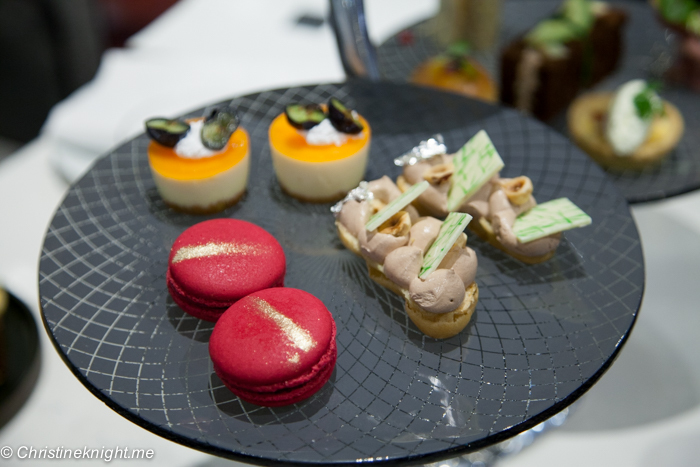 Sheraton On The Park High Tea: Sydney's Best High Teas - Adventure, baby! 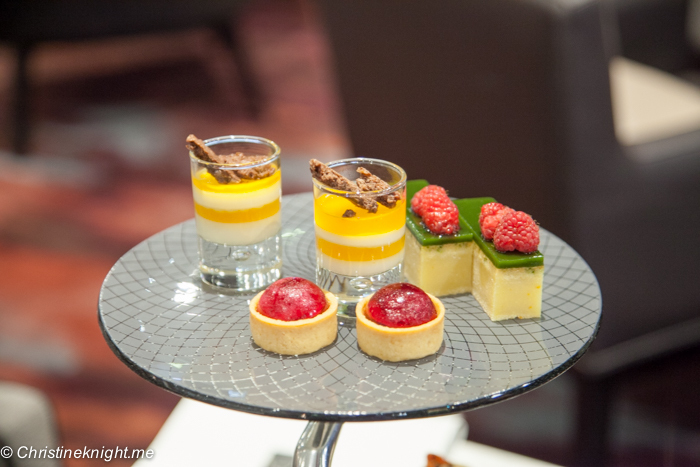 Sydney’s Sheraton On The Park has given their Gallery dining area a major refurbishment, and with it, their high tea offerings too. Recently reopened to the public, the new Gallery dining area is modern and cool, with a silver backdrop representative of the adjacent Hyde Park. When ordering a classic High Tea stand at the Sheraton On The Park, you’ll notice an elegant twist on their traditional stands of old. 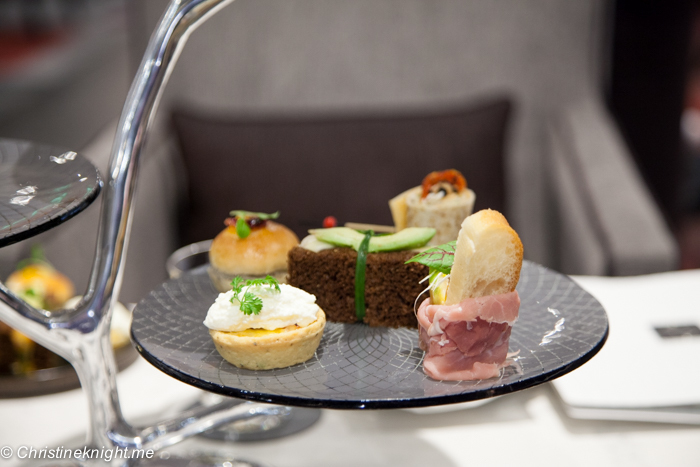 The indulgent High Tea is now served on a silver three-tiered stand that is elegantly designed to reflect a tree. 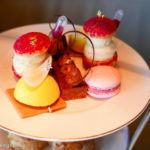 It’s a thoroughly modern stand and quite a unique offering in the world of high teas. 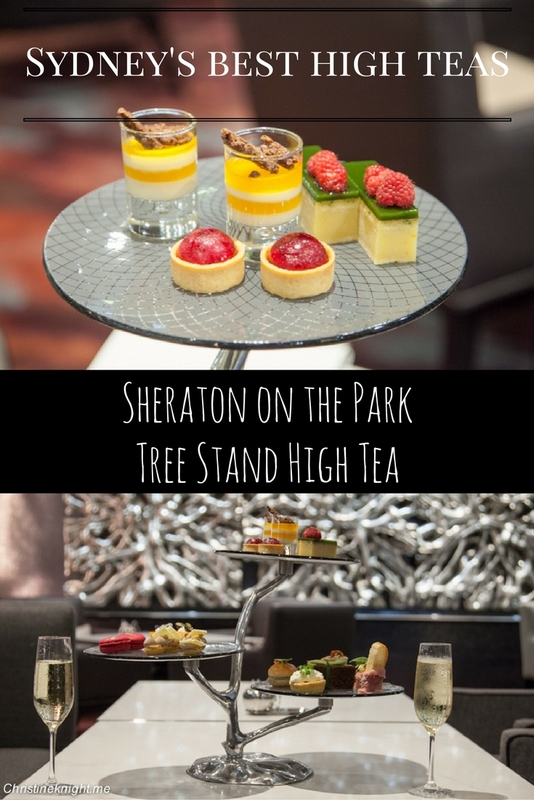 The tree High Tea stand is served daily at Sheraton On The Park from 12pm. 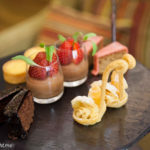 Included in the classic High Tea is a selection of savouries, scones and sweet treats, plus a choice of Vittoria espresso coffees, fragrant Dilmah teas or hot chocolate made with Lindt chocolate, milk, dark or white. Sheraton On The Park have partnered closely with Dilmah to deliver a selection of quality teas. 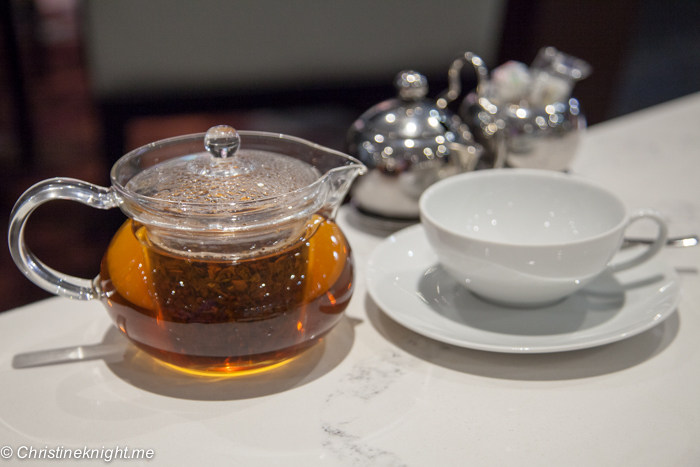 I chose the recommended Uda Watte from the Watte range – Sheraton On The Park are the first high tea establishment in Australia to offer this particular tea range to the public. The Watte tea range is grown at different elevations in Ceylon’s central highlands. Strong, robust teas are supplied from the mid country, rich, rounded tea from the high country, with delicate, subtle tea found at the highest elevations. My Uda Watte tea was classified as “high grown”, at 5000 feet above sea level, and described as “Rich and lively, with intense aroma and well-rounded flavour”. 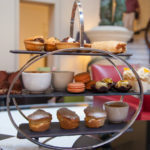 The tea stand is served with the savoury and sweet treats first, the scones following after these are finished. Schinkenspeck schiacciata – bush tomato, fig & goat’s curd (zucchini used as substitute for vegetarian option). The savoury food was delicious. Fresh, fluffy bread, a warm quiche and delicious ingredients. My favourite was the pumpkin sandwich, while my dining companion loved her quiche. 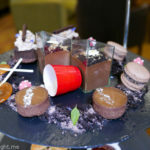 The sweet treats were the perfect size for sampling. I really enjoy the colour and variety of the treats, with a variety of ingredients highlighted, from creamy hazelnut to refreshing berry. 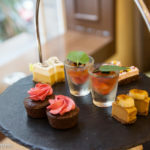 Each treat was decadently good, with my favourites being the pampa jelly tart (I loved the bright fruit jelly in the centre) and the passion fruit truffle, with its layers of cream and jelly. Just delicious. The scones are served last, warm and fresh. 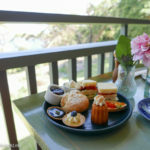 They come with a variety of toppings – butter, jam and cream in plentiful amounts, but I find the scones to be a bit on the hard and dry side, more like biscuits than the big and fluffy scones I prefer. 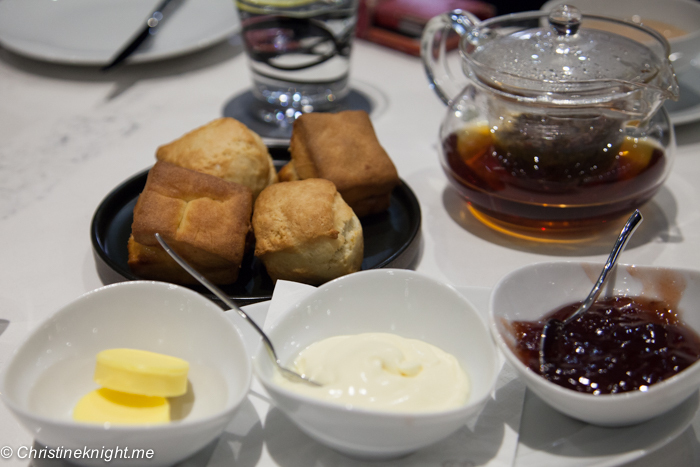 The Sheraton on The Park is one of Sydney’s iconic high tea venues for a very good reason. 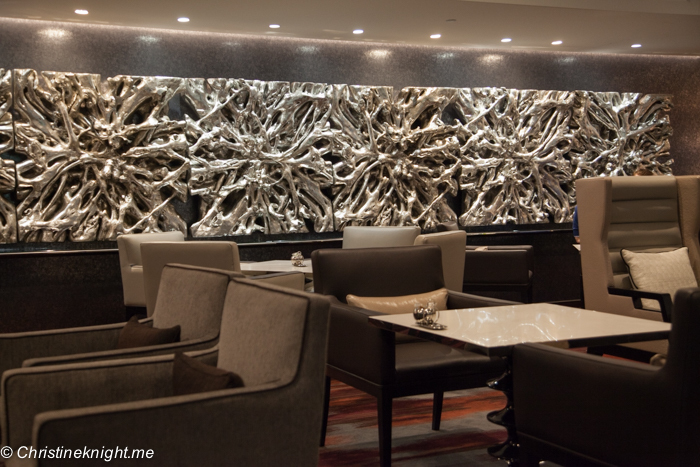 Their consistently high quality of food and service make an afternoon in the Gallery a memorable affair. 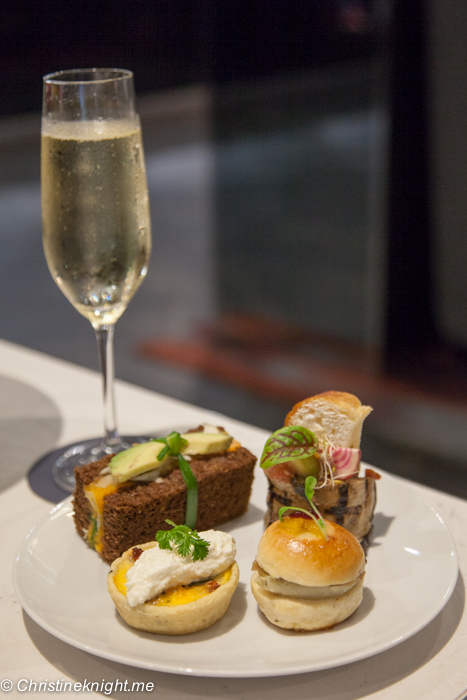 The Gallery High Tea is served daily from 12pm and includes one coffee, tea or hot chocolate, $49 per person. 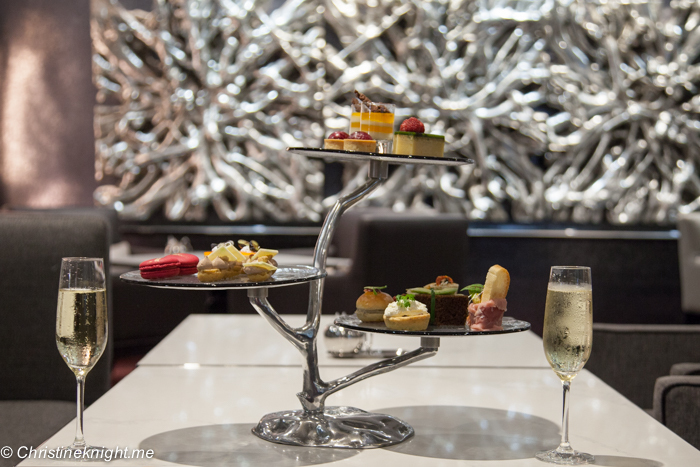 The Sparkling Tea Stand includes one glass of sparkling house wine and is $59 per person. Thank you to Sheraton On The Park for hosting us.